The Best Bitcoin blogs from thousands of top Bitcoin blogs in our index using search and social metrics. Data will be refreshed once a week. Also check out Bitcoin Podcasts and Bitcoin Youtube Channels list for Top videos on Bitcoin. 2.23 Official Changelly Blog | Exchange cryptocurrency online with the best market rate. 2.32 Wirex Blog | The best bitcoin articles every day. 2.56 Coin Spectator Blog | Cryptocurrency news, insight and everything in between. Bitcoin newsletter is a comprehensive summary of the day's most important blog posts and news articles from the best Bitcoin websites on the web, and delivered to your email inbox each morning. To subscribe, simply provide us with your email address. New York, USA About Blog CoinDesk is the world leader in news, prices, and information on bitcoin, blockchain technology, and other digital currencies. They cover news and analysis on the trends, price movements, technologies, companies and people in the bitcoin and digital currency world. Frequency about 84 posts per week. Facebook fans 77,872. Twitter followers 775,347. About Blog Cointelegraph is a completely independent publication covering cryptocurrency, the blockchain, decentralized applications, the internet of finance and the next gen web. We offer the latest news, prices, breakthroughs and analysis with emphasis on expert opinion and commentary from the digital currency community. Facebook fans 724,020. Twitter followers 429,644. OSLO About Blog Providing breaking Bitcoin & FinTech news - focusing on blockchain technology, smart contracts and cryptocurrencies. Frequency about 168 posts per week. Facebook fans n/a. Twitter followers 196,987. About Blog With the largest bitcoin wallet platform in the world, Blockchain's software has powered over 100M transactions and empowered users in 130 countries across the globe to transact quickly and without costly intermediaries. We also offers tools for developers and real time transaction data for users to analyse the burgeoning digital economy. Facebook fans 188,343. Twitter followers 709,798. About Blog A community dedicated to Bitcoin, *the currency of the Internet*. Bitcoin is a distributed, worldwide, decentralized digital money. Bitcoins are issued and managed without any central authority whatsoever: there is no government, company, or bank in charge of Bitcoin. You might be interested in Bitcoin if you like cryptography, distributed peer-to-peer systems, or economics. Facebook fans 1,213,491. Twitter followers 581,289. Worldwide About Blog The Official blog of Bitcoin. Bitcoin is a peer-to-peer network based digital currency. Peer-to-peer (P2P) means that there is no central authority to issue new money or keep track of transactions. Facebook fans 38,860. Twitter followers 902,458. Bitcoin News Service (Global) About Blog NewsBTC is a Bitcoin news service that covers cryptocurrency news, technical analysis and forecasts for bitcoin, litecoin, dash, doge & digital currencies. Facebook fans 19,476. Twitter followers 31,822. Europe About Blog SpectroCoin provides easy, safe and quick access to Bitcoin for people and businesses. Firstly, SpectroCoin is a Bitcoin wallet which helps easily and safely send, receive and store bitcoins by providing easy to use interface to Bitcoin network. Facebook fans 17,597. Twitter followers 18,025. San Francisco, CA About Blog Coinbase is a digital currency wallet and platform where merchants and consumers can transact with new digital currencies like bitcoin and ethereum. Facebook fans 175,661. Twitter followers 1,024,053. About Blog E-Crypto News provides news about bitcoins, altcoins, blockchain, etherums and litecoins. Facebook fans n/a. Twitter followers n/a. About Blog Bitcoinist is a Bitcoin news portal providing breaking news about decentralized digital money, blockchain technology and Fintech. Frequency about 42 posts per week. Facebook fans 18,489. Twitter followers 29,399. About Blog ForkLog is the online journal covering various cryptocurrency and decentralized technology related topics. Frequency about 4 posts per week. Facebook fans 2,354. Twitter followers 3,880. About Blog Bitcoin Stack Exchange is a question and answer site for Bitcoin crypto-currency enthusiasts. Facebook fans 66,309. Twitter followers 1,853. About Blog Bitcoin.com is the world's premier 24/7 news feed covering everything bitcoin-related. Frequency about 34 posts per week. Facebook fans 95,427. Twitter followers 369,961. Facebook fans 44,516. Twitter followers 58,784. San Francisco, CA About Blog Kraken is the best Bitcoin exchange for converting to and from US dollars, euros, British pounds and Japanese yen. Frequency about 8 posts per week. Facebook fans 13,702. Twitter followers 331,577. About Blog Welcome to r/btc! Home of: Up to date bitcoin discussions, News and Exclusive AMA (Ask Me Anything) interviews from top bitcoin industry leaders! Bitcoin is the *currency of the Internet*. A distributed, worldwide, decentralized digital money. Unlike traditional currencies such as dollars, bitcoins are issued and managed without the need for any central authority whatsoever. Facebook fans 1,213,492. Twitter followers 581,289. Antwerp, Belgium About Blog An awesome collections of stories about blockchain technologies, use cases... in Belgium. Facebook fans n/a. Twitter followers 616. Hong Kong About Blog Bitfinex is the world's leading Bitcoin, Litecoin and Ethereum Exchange and Margin Trading Platform. Frequency about 1 post per week. Facebook fans 16,037. Twitter followers 462,796. About Blog A podcast surrounding the bitcoin industry, blockchain technology, and insights from people of interest. Facebook fans 732. Twitter followers 9,261. About Blog Stay current with the bitcoin mining community and industry by reading from our library of bitcoin Blog posts. Check out our crypto mining blogs today! Facebook fans 91,365. Twitter followers 64,655. UK About Blog The coCEX.IO is a UK-based Bitcoin exchange established in 2013. CEX.IO claims to provide the best experience of buying Bitcoins with credit cards and debit cards. Through our activity, we aim to spread knowledge about Bitcoin, grow the community and make Bitcoin accessible for everyone Find the latest announcements of CEX.IO, recent Bitcoin price, and cryptocurrency news. Frequency about 4 posts per month. Facebook fans 43,292. Twitter followers 28,279. 23. Official Changelly Blog | Exchange cryptocurrency online with the best market rate. Prague, Czech Republic About Blog Changelly is an instant cryptocurrency exchange with clear interface that provides the best prices for Bitcoin, Litecoin, Ethereum and other altcoins. Facebook fans 5,949. Twitter followers 23,638. FL About Blog 99Bitcoins supplies video and text tutorial on how to s with Paypal, Credit Card, debit card and more. They also supply you with your first Bitcoin. Facebook fans 11,952. Twitter followers 14,771. About Blog Intrigues and stories on online security, privacy and the development of the world’s most secure and ubiquitous hardware wallet for Bitcoin — the TREZOR. Facebook fans 10,238. Twitter followers 186. Vienna, Austria About Blog Coinimal GmbH is an Austrian start-up company that specialise in selling and buying Bitcoins and other cryptocurrencies. BitPanda.com is a fully automated platform: As soon as payment is confirmed, the Bitcoins and other cryptocurrencies are automatically sent to the buyers. Facebook fans 15,137. Twitter followers 6,180. Amsterdam & Beijing About Blog All you need to know about the safe and trusted BTC.com wallet, backed by the world’s leading bitcoin manufacturer. Facebook fans 22,652. Twitter followers 13,550. About Blog All about BItcoin and Litecoin mining and other alternative crypto currencies, always be up to date with us. This is a blog dedicated to crypto currency miners and users of Bitcoin (BTC), Litecoin (LTC), Ethereum (ETH) and other altcoins. Facebook fans n/a. Twitter followers 4,126. About Blog Invest In Blockchain provides accurate and useful information for cryptocurrency investors from beginners to experts. Get informative, educational and engaging content related to blockchain education and investment opinion as well as the latest news and developments about popular crypto and blockchain projects. Facebook fans 1,888. Twitter followers 9,945. New Delhi, India About Blog CoinGape provides fastest and latest news, prices, charts, reviews and analysis in bitcoin and block-chain tech. Frequency about 6 posts per week. Facebook fans 829. Twitter followers 2,575. Nashville, TN About Blog Bitcoin Magazine is the world's first magazine dedicated to the cryptocurrency. Founded in 2011, Bitcoin Magazine is the oldest and most trusted source of news, insight, reviews, guides, and price analysis on bitcoin, ethereum, blockchain technology, cryptocurrencies, the darkweb, and other decentralized technologies. Frequency about 11 posts per week. Facebook fans 73,709. Twitter followers 535,432. 32. Wirex Blog | The best bitcoin articles every day. London About Blog Wirex is the first financial platform to combine bitcoin with traditional currency. Easily use bitcoin debit card, mobile banking, and send money across borders. Get insights on bitcoin, altcoins & ICOs. Read our technical analysis of various cryptocurrencies. Facebook fans 23,176. Twitter followers 18,240. Manchester, England About Blog Blockonomi is a fast-growing blog launched in 2017 which aims to cover aspects of Cryptocurrencies, fintech and the blockchain economy. We focus on creating information articles and tutorials to help you gain an understanding of this new technology. Frequency about 56 posts per week. Facebook fans 689. Twitter followers 6,606. New Zealand, Australia About Blog Brave New Coin (BNC) supplies spot pricing for bitcoin and 0ver 330 cryptocurrencies and assets to global financial markets. We have built a superior Market-Data Engine for the Blockchain & Digital Equities industry. We collect, process & index live data from over 160 trading platforms in real-time to produce Digital Asset API's and Blockchain Data tools for Developers, Traders & Enterprise. Frequency about 13 posts per week. Facebook fans 6,124. Twitter followers 35,610. About Blog The home for , Blockchain, Ethereum and FinTech news and information. Stay on top of developments in the digital world of finance. Facebook fans 19,055. Twitter followers 25,671. About Blog EWN Provides breaking news towards topics with relation to Ethereum, Bitcoin, Litecoin, Cryptocurrency, start-off ICO's and the Blockchain ecosystem. Facebook fans 2,304. Twitter followers 3,853. About Blog Crypto Briefing exists to advocate for the safe and responsible integration of blockchain and cryptocurrency into mainstream life. Expert analysis, ratings and reviews of upcoming ICO's, along with informed opinion and updates on the cryptocurrency world. Facebook fans 647. Twitter followers 6,880. About Blog A knowledge & resource center for all things blockchain & cryptocurrency related. Our mission is to empower you to learn more about crypto currencies and to learn how to pick the winning cryptos. Facebook fans 1,616. Twitter followers 1,050. New York, NY About Blog Gemini Is Now the World’s First Licensed Bitcoin and Ether Exchange. The Next Generation Digital Asset Exchange. Facebook fans 196,699. Twitter followers 67,061.
worldwide About Blog Ethereum can be used to codify, decentralize, secure and trade just about anything: voting, domain names, financial exchanges, crowdfunding, company governance, contracts and agreements of most kind, intellectual property, and even smart property thanks to hardware integration. Facebook fans 141,346. Twitter followers 1,139. New York City About Blog Paxful is next generation peer to peer marketplace for buying and selling bitcoin. Facebook fans 170,682. Twitter followers 41,717. Blockchainland About Blog ShapeShift.io is an instant exchange for cryptocurrencies. Buy or sell Bitcoin, Litecoin and other coins easily without an account. API available. Facebook fans 47,398. Twitter followers 81,222. Atlanta About Blog A staff-driven look into enterprise bitcoin development. Accept bitcoin, store and spend bitcoin securely, or turn bitcoin into dollars with the BitPay Card. Facebook fans 16,012. Twitter followers 263,943. India About Blog Zebpay is India's leading bitcoin exchange. Buy and Sell Bitcoins in India. Buy vouchers and more. Facebook fans 27,609. Twitter followers 34,970. Europe & Australia About Blog CoinJar provides simple tools to manage digital currencies. They use multi-factor authentication (e.g. password plus SMS verification) to ensure that the customers’ bitcoins are safe, even if their password is compromised. As an additional layer of protection, they store the majority of customer bitcoin holdings offline. Facebook fans 8,054. Twitter followers 10,899. United States About Blog The development of the blockchain technology and the Bitcoin increased interest and price has lead to a boom of innovation and the birth of altcoins and ICOs. We, like you, are investors, traders, and technology geeks. The mission and vision of our website is to inform the whole world about exciting investment and trading opportunities. Frequency about 2 posts per week. Facebook fans 208. Twitter followers 801,607. About Blog Find Bitcoin ATM locations easily with our Bitcoin ATM Map. For many Bitcoin machines online rates are available. Facebook fans n/a. Twitter followers 3,348. About Blog Top 40 bitcoin exchanges: buy bitcoin & cryptocurrency with credit card PayPal, cash, & bank transfer. Beginner-friendly sites included. Facebook fans 295. Twitter followers 413. San Francisco, CA About Blog Purse is the Earth’s largest marketplace, with the lowest listed price on virtually everything online. Purse’s endless pursuit of frictionless marketplaces is making global commerce flatter with the one currency that can truly be accepted, anywhere, bitcoin. Facebook fans 2,730. Twitter followers 14,770. Malta About Blog Bitcoin blog, news, casino big wins, new slots and games, casino providers, promotions, and more from BitStarz, a leading Bitcoin casino gambling site. Facebook fans 1,045. Twitter followers 20. Lithuania About Blog CoinGate offers Merchant services for various businesses to accept Bitcoin as payment from their customers. We automatically convert Bitcoins to local currency such as EUR/USD which means no price volatility risks for business. Facebook fans 498. Twitter followers 671. About Blog Find resources for anything related to the crypto currencies world - Bitcoins and Altcoins. Crypto trading How To, Index and home for alternative coins. Frequency about 28 posts per week. Facebook fans 2,288. Twitter followers 1,540. About Blog Latest Bitcoin and Cryptocurrency News. Read about everything from bitcoin block chain to cryptocurrency mining and trading. Each week we make a summary. Frequency about 7 posts per week. Facebook fans 2,197. Twitter followers 3,341. About Blog is a global news & information source that supplies economic and industry information on bitcoin, blockchain and the cryptocurrency market. Facebook fans 1,172. Twitter followers 6,382. UK About Blog Live Bitcoin News is one of the world’s leading bitcoin networks where you will get all the latest news, charts, guides and analysis about bitcoin. Frequency about 14 posts per week. Facebook fans 1,508. Twitter followers 1,811. 56. Coin Spectator Blog | Cryptocurrency news, insight and everything in between. United Kingdom About Blog Coin Spectator is an independent blog covering , blockchain and related financial topics with a twist. Our mission is to cut through the clutter and provide an easily followable stream of crypto news that the larger publications tend to miss. We cover everything from interviews with prominent businesses to price changing stories and everything in between. Facebook fans 826. Twitter followers 5,764. Los Angeles, CA About Blog Bitcoin IRA specializes in converting paper-backed IRA or former 401k retirement plans into Bitcoin. Facebook fans 8,014. Twitter followers 2,079. About Blog Use The Bitcoin is a blog about the cryptocurrency industry and how can you use cryptocurrency in day to day life. Frequency about 19 posts per week. Facebook fans 148. Twitter followers 3,596. About Blog Cryptocurrency General Guides And /Altcoins Daily News And Analysis . How Tos for Cryptocurrency Newbies and Crypto college. Facebook fans 3,425. Twitter followers 656. About Blog A Bit of news on Bitcoin, Cryptocurrency and Blockchain. Facebook fans 2,150. Twitter followers 2,070. Cape Town, South Africa About Blog Learn about bitcoin in South Africa, bitcoin business directory for S.A. - Where to buy and sell bitcoin in South Africa. Facebook fans 81,093. Twitter followers 6,586. Canada About Blog Follow Coin Currency News to get the latest cryptocurrency news. Facebook fans n/a. Twitter followers 694. United Kingdom About Blog Leading destination for Blockchain and cryptocurrnecy news, data and insights. Keep up with real-time market data on the new crypto-economy in order to make better investment decisions. Cointelligence brings you everything you need to know about the crypto world. From news to user guides, you'll find all the information you need. Facebook fans 505. Twitter followers 250. About Blog Bitcoin Chaser is your FIRST source for Bitcoin casinos, reviews, cryptocurrency news and Bitcoin information. Get special offers and free coins exclusively on Bitcoin Chaser. Facebook fans 8,445. Twitter followers 2,208. About Blog CoinIdol News is an international crypto and currencies media outlet focusing on the latest news about Bitcoin and altcoins, Blockchain and distributed ledger technology solutions, FinTech and financial innovations on the world's market. Facebook fans 1,529. Twitter followers 2,825. 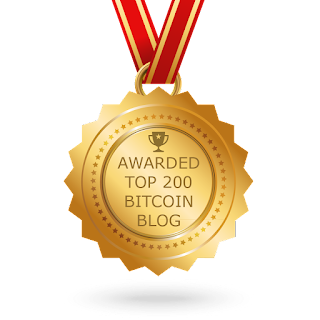 Bitcoin About Blog Bitcoin PR Buzz's mission is to spread the word about revolutionary Bitcoin projects and businesses worldwide. Best Bitcoin Press Release Services, PR Agency & Writing Services for the Cryptocurrency & Fintech Industry, with over 500 clients & 4 years of experience. Facebook fans 4,087. Twitter followers 16,207. Spain About Blog The Bitcoin News is all about Decentralised Bitcoin and Crypto News. Facebook fans 12,889. Twitter followers 68,126. About Blog Fun & Helpful Tips for Beginners in Bitcoin and Cryptocurrency. Facebook fans 384. Twitter followers n/a. About Blog Crypto Reader is a website that instantly posts any Blockchain, Bitcoin and 100 other coin news/updates. Get all your crypto news at one place. Our goal is to help you waste less time while getting more knowledge and profit at the same time. Facebook fans 64. Twitter followers 207. About Blog A blog about Blockchain news and the leading global blockchain & bitcoin events. Blockchain Agenda with is the largest Bitcoin and Blockchain technology focused event series worldwide. Facebook fans 3,786. Twitter followers 14,642. About Blog As the leading source of tech startups in Turkey and the region, Webrazzi and its experienced team launched Bitrazzi in December 2017 to cover the development of bitcoin, cryptocurrencies and blockchain ecosystem. Bitrazzi has a dedicated team of writers from all around the world and supported by Webrazzi's management team. Facebook fans n/a. Twitter followers 2,151. Facebook fans 16,351. Twitter followers 288,391. Facebook fans n/a. Twitter followers 416. London About Blog Vaultoro is an internet platform where you can trade physical gold and bitcoin. Real-time, low fees, bank independent. Facebook fans 3,199. Twitter followers 6,572. Budapest, Hungary About Blog The Bitcoin Base team daily provides fresh news about bitcoin, altcoin, block chain and finance technology with special offers. Our goal is to serve the Hungarian cryptic community with authentic and authentic news. Facebook fans 2,180. Twitter followers 308. Toronto, Canada About Blog William Mougayar is a Venture advisor, 4x entrepreneur, marketer & strategist. Facebook fans n/a. Twitter followers 26,177. About Blog CoinFabrik have more than 20 years of experience building and reviewing security applications, and have active in the cryptocurrency field. We have designed new bitcoin-related cryptocurrency protocols and discovered and reported various security vulnerabilities. Facebook fans 74. Twitter followers 510. About Blog If you are looking for cryptocurrency exchange this is the best bitcoin treding platform for Bitcoin price,Bitcoin news,invest in bitcoin,Bitcoin Forecast. Facebook fans 3,006. Twitter followers n/a. Chicago, IL About Blog Bitcoin of America buys and sells bitcoins online VIA wire, credit cards, PayPal, and other methods of payments. BOA can also buy and exchange your BTC to USD anytime! Facebook fans 470. Twitter followers 321. South Africa About Blog Bitcoin & Cryptocurrency latest news, discussion and information. Keep up to date with Bitcoin Hub, South Africa's best cryptocurrency resource. Facebook fans 3,247. Twitter followers 1,016. About Blog Latest bitcoin news, altcoin, earning opportunities, bitcoin trading, site reviews and bitcoin forum. Facebook fans 2,226. Twitter followers 60. Japan / USA About Blog A blog dedicated to exploring the possibilities of Bitcoin. Education, News, and Strategies. Facebook fans 141. Twitter followers 10,986. About Blog Belfrics is a global bitcoin trading platform & digital bitcoin wallet that lets you buy and sell bitcoins across the world. Facebook fans 43,979. Twitter followers 182. England, United Kingdom About Blog Mycryptopedia is a free educational resource providing you with a deep understanding of cryptocurrencies and blockchain technology. Facebook fans 387. Twitter followers 481. Boca Raton, FL About Blog CryptoBlockWire uncovers the real news in the Crypto Markets. Stay up to date with all of the latest news in Blockchain & Cryptocurrency and much more. Frequency about 9 posts per week. Facebook fans 9. Twitter followers 44. New York, USA About Blog Best gpu for mining in 2017. Follow our tests, read news, discover hashing power and power consumption of all the GPUs in the market. Facebook fans 78. Twitter followers 3,094. About Blog 7Bitcoins provides reviews and tutorial about how to buy Bitcoins with Paypal, Credit Card, debit card etc. Facebook fans n/a. Twitter followers 3,232. Warszawa, Polska About Blog This blog is source for all things about cryptocurrency, Bitcoin. Facebook fans n/a. Twitter followers 23. Italy About Blog Trading Signals and market coverage for bitcoin foreign exchange market. Facebook fans n/a. Twitter followers 5,045. About Blog Your one-stop source for exclusive cryptocurrency news & innovations in Bitcoin mining. Bringing you the latest news, guides on Ethereum mining, GPU mining hardware & software. Tutorials and reviews about blockchain technology, price analysis & market predictions. Facebook fans 7. Twitter followers 492. London, England About Blog is designed to revolutionise how you trade fiat currency for crypto. Competition-beating transaction times, industry-leading security. Facebook fans 246. Twitter followers 621. Mebourne About Blog Bitedge is your insider’s guide to bitcoin sports betting with all the resources you need to make it a fun & profitable part of your life! Facebook fans 189. Twitter followers 614. About Blog Cryptocointrade is a platform where you can get reviews and beginners guides about cryptocurrency trading, it is compatible for both the beginners as well as the advanced traders. Facebook fans 229. Twitter followers 1,292. About Blog Coinpress.io is a newspaper, a devoted cryptocurrency enlargement and advisory enterprise that is driven by the mission of providing assistance to bitcoin traders. The informative newspaper is one of the many ways in which this enterprise hopes to improve the crypto space. Facebook fans 87. Twitter followers 5. Sydney, Australia About Blog Cryptocurrency and ICO News exchange featuring happenings in the ICO-sphere and in-depth coverage of the most promising token sale investment opportunities. Facebook fans 59. Twitter followers 1,601. Uxbridge UK About Blog Bitcoins all about bitcoins in the united kingdom and UK. Facebook fans n/a. Twitter followers 384. About Blog Browse latest bitcoin news about business, technology, company and regulations of bitcoin. Latest crypto currency news, talks and new start up related to bitcoin and other crypto currency. Facebook fans 13,432. Twitter followers 328. United States About Blog Coinformant.com is a directory of blockchain and cryptocurrency related resources. Coinformant listings allow users the ability to discuss and rate products, businesses, online communities, and more using our internal systems. Our goal is to create a large cryptocurrency directory powered by user & community submissions and reviews. Facebook fans 51. Twitter followers 205. About Blog CryptStorm is a cryptocurrency and blockchain news site that informs about the latest trends in the crypto world. Facebook fans 29. Twitter followers 8,014. About Blog Coinworldstory covers everything from mining to crypto, hyip and ICo. About Blog Lead by providing the latest news, analysis, price charts and more about the most popular cryptocurrency such as Bitcoin, Litecoin, Ethereum, Ripple, etc. Merkle News offers something for everyone. Leading in bringing you the latest and real time cryptocurrency news from around the world. Facebook fans 265. Twitter followers 733. About Blog Stories by Mikael Askerov on Medium. United States About Blog CoinFrog is a place for information about Bitcoin and other cryptocurrencies. Find news, guides, trading signals with fundamental analysis, Bitcoin store and more. Facebook fans n/a. Twitter followers 549. South Africa About Blog The Cryptocurrency Blog’s goal is to explore the world of cryptocurrency on a daily basis, through in-depth reviews of the latest coins including Bitcoin, Ethereum, Litecoin, How to Guides on how to trade on the world’s top exchanges, Bitcoin mining tested and reviewed and so much more. The focus will be on all facets of the crypto/blockchain world. Facebook fans n/a. Twitter followers 870. About Blog Daily Cryptocurrency News and updates. About Blog .com is the premier site for ICO Listings, Reviews, and Data Analytics. We also provide up to date information on Airdrops that are occurring. Facebook fans n/a. Twitter followers 44. Facebook fans 4,141. Twitter followers 213,130. About Blog Latest Blockchain news about cryptocurrencies - Bitcoin, Ethereum, Ripple, Litecoin. Frequency about 15 posts per week. Facebook fans n/a. Twitter followers 1. Facebook fans n/a. Twitter followers 142. United States About Blog #1 Cryptocurrency Blog- tending altcoin news, coin price | Learn how to earn Free Bitcoin, bitcoin cash,ethereuml, itecoin from mmining or faucet. Facebook fans n/a. Twitter followers 514. Facebook fans n/a. Twitter followers 13. India About Blog Coinsecure is the fastest Bitcoin exchange in India to buy and sell Bitcoin. Easy & quick trades with instant deposits/withdrawals of BTC/INR. Safe & Secure wallet. Facebook fans 20,439. Twitter followers 21,048. Kentucky, USA About Blog ICO Reviews and Cryptocurrency News. Learn about alt coins, currency mining, how to build and configure mining rigs and more. Facebook fans 1,368. Twitter followers 541. About Blog The Crypto news they don't want you to know. About Blog The Bitcoin Millionaire blog Includes the latest news, articles, reviews and anything related to making and growing Bitcoins. Facebook fans 226. Twitter followers 633. Nigeria About Blog Buy and Sell Bitcoin in Nigeria made easy with Bitkonga. You can buy bitcoins with naira bank transfer and also with PayPal. Sell your bitcoins to us and you will receive funding almost instantly in your Nigerian bank account. Facebook fans 481. Twitter followers 30. About Blog Follow this blog to get useful information about bitcoins. About Blog BitNovosti provides articles and information related to bitcoins. Facebook fans 147. Twitter followers 160. Bengaluru, India About Blog Get the latest news about the cryptocurrency. We provide Bitcoin, Altcoin, Bitcoin Cash, Mining tool information. We are the leader in the Crypto Market. Facebook fans 2,325. Twitter followers 4,573. Berlin, Germany About Blog Pay Bills with Bitcoin. Send & receive money, and load your VISA® debit card using Bitcoin at best rates, high speed and at a low 0.5% fee through Bitwala. Facebook fans 7,731. Twitter followers 8,926. About Blog Decentrist is the leading tech news magazine in south east asia that bases itself around the topic of blockchain, decentralization and the crypto market. Facebook fans 38. Twitter followers 121. Blockchain About Blog Bitcoin XYZ blog about Everything Bitcoin & Blockchain. Whether you're just finding out about bitcoin & blockchain technology or are a seasoned veteran in the industry, Bitcoin XYZ is designed to be your portal to everything Bitcoin. With articles and the latest news posts, curated content from most of the major bitcoin industry providers, access to multiple bitcoin services, and other data. Facebook fans 264,448. Twitter followers 28,909. Facebook fans 30. Twitter followers 14. About Blog Helena Bitcoin Mining, LLC ,a digital cryptocurrency mining company; Sharing the latest bitcoin news, bitcoin mining news & cryptocurrency industry updates. Facebook fans 540. Twitter followers 647. About Blog A Bitcoin and Blockchain Technology Blog. Facebook fans 1,065. Twitter followers n/a. About Blog BITRSS Bitcoin World News: Search and discover the lates Bitcoin Stories in Categories. Follow the top cryptocurrency articles on the Web, submit free your BTC website Feed. Facebook fans 37. Twitter followers 2,299. About Blog Devcoin is an ethically inspired cryptocurrency created in 2011 to support open source programmers and writers worldwide. They bring you news, prices, and more! Facebook fans 50. Twitter followers 197. About Blog Bitcoin News Aggregator - Bringing the latest Bitcoin News from the most popular XBT BTC news sites. Facebook fans 8. Twitter followers 6,775. About Blog Welcome to The Bitcoinshirtz Shop! Explore our Bitcoin & Crypto-currency shirt designs. Made by us & posted on Teespring. Tees Tanks Hoodies & more! Facebook fans 21. Twitter followers 756. About Blog An aggregator of news about Bitcoin and other cryptocurrencies. Facebook fans n/a. Twitter followers 410. About Blog EasyBit is the leading bitcoin ATM provider in the world! Buy or Sell Bitcoin in over 10 countries. Quickly convert BTC to cash or vice versa. Facebook fans 914. Twitter followers 515. NY About Blog bitcoindood.com is all about everything bitcoin and cryptocurrency related. Blog posts, links, slack directories and more. Facebook fans 81. Twitter followers 41,627. Lake Mary, Florida About Blog BTC World News features the latest headlines about Bitcoin. Discover a broad range of information on trending Bitcoin topics, government, politics and popular news from around the world. Facebook fans 701. Twitter followers 2,101. About Blog Forra is a cryptocurrency marketplace for selling your items. Our ecommerce platform is a real and practical use case for cryptocurrency and blockchain. About Blog Cryptohappening is an automated news aggregation service and blog that helps people stay up to date with top cryptocurrency news sources as well as what is trending on social media. Facebook fans 9. Twitter followers 8. United States About Blog Tracking a systematic crypto coin portfolio. Also sharing and discussing crypto related news. Facebook fans n/a. Twitter followers 31. India About Blog BTCINDIA.NEWS - Blockchain Technology and Cryptocurrency News in India . Facebook fans 1,469. Twitter followers 13. About Blog Comprehensive up-to-date coverage for bitcoin, aggregated from news sources all over the world by Google News. Facebook fans 25,309,110. Twitter followers 213,947. About Blog Andreas M. Antonopoulos is a security expert, author, public speaker and entrepreneur who has become one of the most well-known and well-respected figures in bitcoin. He is the author of two books: “Mastering Bitcoin”, published by O’Reilly Media and considered the best technical guide to bitcoin and “The Internet of Money”, a book about why bitcoin matters. Facebook fans 26,412. Twitter followers 441,162. About Blog This Channel is made possible through the support of the Bitcoin Association Switzerland. Enjoy the videos and music you love, upload original content, and share it all with friends, family, and the world on YouTube. Facebook fans n/a. Twitter followers 141. San Francisco, CA About Blog Mad Bitcoins is a YouTube show about Bitcoins. Facebook fans 302. Twitter followers 44,555. About Blog Abra is the first global, peer-to-peer, cash money transfer app. They use the Blockchain/Bitcoin technology for secure low cost transfers while protecting the value of deposits in U.S. Dollars. Facebook fans 5,364. Twitter followers 16,990. London, England About Blog Cryptocoins Zone is a cryptocurrency blog containing news, reviews and other useful bitcoin and altcoin information. A great place for beginners to explore and learn more about cryptocurrency in an entertaining way. Facebook fans 4. Twitter followers 202. About Blog Giving you the basic and understanding of Bitcoin. Facebook fans 11. Twitter followers 10,164. Facebook fans 34. Twitter followers 57. Beijing, China About Blog Bitmain Technologies, described as the world’s most valuable bitcoin company, was established to develop and sell the world’s leading bitcoin miners using Bitmain's ASIC chip technology. Facebook fans 37,552. Twitter followers 66,941. London, UK About Blog A personal blockchain based financial account, where you can buy and sell bitcoins, order a bitcoin debit card and send international payments worldwide. Facebook fans 14,846. Twitter followers 9,002. About Blog Bitcoin Core is an open source project which maintains and releases Bitcoin client software called "Bitcoin Core". Facebook fans n/a. Twitter followers 95,395. About Blog Bitcoin Futures Guide was created to provide a reference for products and services related to Bitcoin trading and investing. Keep up to date on all the news affecting bitcoin markets for interest of everyone in the bitcoin community. Facebook fans 10. Twitter followers 568. Karachi, Pakistan About Blog Bitcoins Pakistan is a blog about Bitcoin – the global P2P currency. On this blog we focus on the technical aspects of Bitcoin including how it works under the hood. Facebook fans 1,646. Twitter followers 32. NY About Blog BlueMatt's is Bitcoin Dev. Full-time on open source Bitcoin Projects at ChainCode Labs. New York, usually. Facebook fans n/a. Twitter followers 37,521. About Blog 101 Simple Reasons to Use Bitcoin uses images, videos, articles, podcasts and products to educate people about Bitcoin. Facebook fans 113. Twitter followers 437. Calgary, Alberta About Blog A Canadian perspective on Bitcoin, Ethereum and the future of distributed finance. Facebook fans 417. Twitter followers 2,382. About Blog Bitsquare is built for those who: Want to exchange a national currency such as dollars, euros, or yen for bitcoin. Facebook fans 476. Twitter followers 205. Jaselska 10, 602 00 Brno About Blog Cashila is an early stage business, with the idea of making everyday bill payments simple, convenient and accessible for everyone and everywhere. We work hard and play fair to build an innovative and useful product that enables you to pay bills instantly and inexpensively with bitcoin. Facebook fans 439. Twitter followers 682. Australia About Blog Australia is at the forefront of the digital currency revolution. Bitcoin represents a unique opportunity - both technologically and economically - previously unavailable to the world. Facebook fans 1,110. Twitter followers 11,433. About Blog Bitcoin Wizards channel is about various bitcoin methods / strategies. About Blog Best Online Bitcoin Casino blog, current news related to BTC Casino, games, roulette, lottery, slots, reviews. Online gambling games Casino Blog with bitcoin. Facebook fans 15. Twitter followers 2,530. About Blog Bitcoin India Wiki provides information about what is bitcoin and how does it work, how to buy sell and buy bitcoin in India. Hidden in Cyberspace About Blog All the things you wanted to know about Bitcoin and the other cryptocurrencies. Frequency about 17 posts per week. Facebook fans 1,469. Twitter followers 87,945. San Francisco, CA About Blog is dedicated to finding the creative hacks that will help you optimize your financial life, spending, and productivity. Facebook fans n/a. Twitter followers 770. About Blog Coin.Space Wallet is a free online bitcoin & litecoin wallet which you can use to make worldwide payments for free. They make paying with bitcoins easy and secure. Facebook fans 4,808. Twitter followers 5,993. Palo Alto, California About Blog Minessence: To miniaturise and simplify complex ideas or technology into concrete and practical applications for the purpose of creatively impacting on the world-view of the user. Facebook fans n/a. Twitter followers 96,133. Jaipur, India About Blog Flitpay is the fastest bitcoin exchange wallet in India to sell or buy bitcoin easily. We guarantee best bitcoin rates with fast & secure transactions. Facebook fans 1,578. Twitter followers 86. About Blog Crypto Age is a crypto currency magazine that helps you understand about cryptocurrencies. CONGRATULATIONS to every blogger that has made this Top Bitcoin Blogs list! This is the most comprehensive list of best Bitcoin blogs on the internet and I’m honoured to have you as part of this! I personally give you a high-five and want to thank you for your contribution to this world.